A survey of decision makers in charge of IT in 250 British SMBs found that more than half of them will have to upgrade their IT infrastructure by July 2015. 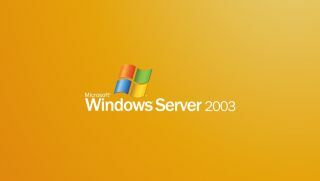 The study commissioned by the Cloud Industry Forum and carried out by Vanson Bourne found that usage of Windows Server 2003 is still high amonngst small and medium businesses. Next year however will see Microsoft pulling essential support for its popular server operating system; this means no more patches and security updates. More than two-thirds of those currently using Microsoft's obsolete server see the cloud as a realistic upgrade path and Microsoft is acutely aware of that, having rejigged its Office 365 offering for SMB last week. The report, in its fifth year, also underlined a clear trend, one that shows that SMBs are embracing the cloud but not as fast and not as far-reaching as one would expect. Three-quarters had adopted the cloud but less than half only use one cloud-based solution with the overwhelming majority using a mix of cloud and on-premise technology.